PROVIDENCE, R.I. (WPRI) - Prosecutors in Florida say infamous Rhode Island serial killer Craig Price has undergone a psychological evaluation and his defense attorney now has one week to decide if they will mount an insanity defense in Price's upcoming attempted murder trial. Price, 45, is facing one count each of attempted murder and contraband in prison. Prosecutors say he used a five-inch homemade knife when he attacked a fellow inmate at Suwannee Correctional Institution in Florida on April 4, 2017. Price has pleaded not guilty. He was set to go to trial earlier this month, but his attorney, Michael Bryant, asked for more time in order to conduct a psychological evaluation. A judge granted the delay, setting a pretrial hearing for Thursday. Assistant State Attorney Sandra L. Rosendale, of Live Oak, Florida, said jury selection is now set for Jan. 28. "The psychological evaluations have been completed," Rosendale wrote in an email. She said Price's lawyer has until Dec. 20 "to file the necessary documentation if they intend to rely on insanity as a defense." Bryant did not immediately return an email for comment. Court documents allege Price repeatedly stabbed the victim, inmate Joshua Davis, in a "premeditated design" and with "intent to kill." In October, The Target 12 Investigators revealed for the first time the police recording of Price confessing to detectives that he stabbed to death 39-year-old Joan Heaton and her two daughters, 10-year-old Jennifer and 8-year-old Melissa, in 1989. He then confessed to the murder of 27-year-old Rebecca Spencer two years earlier. 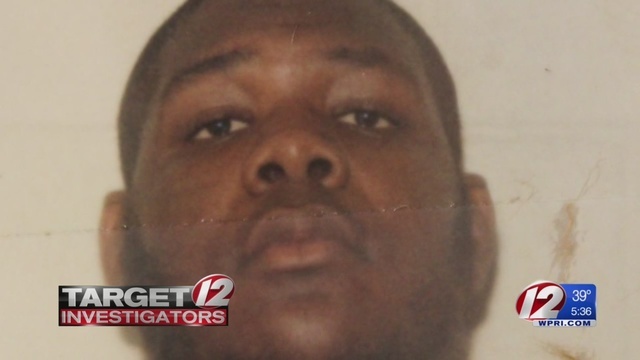 Price was sent to Florida in 2004 as part of an interstate compact because the R.I. Department of Corrections deemed him a security risk to himself and others at the Adult Correctional Institutions in Cranston. Last month, Bryant filed a motion asking for the delay because he is "attempting to have defendant evaluated for competency and sanity, amongst other things, prior to proceeding to trial." Bryant wrote he hired a Dr. Sal Blandino to conduct the assessment. "Dr. Blandino has indicated that there is a need for records dating back at least one year prior to the alleged incident," Bryant wrote. "Counsel for the defendant has been seeking medical records for the defendant and has had difficulty getting the necessary records from the Department of Corrections." Price's patchwork of sentences from infractions while behind bars at the ACI have all expired and he is currently serving time for stabbing a Florida correctional officer during a fight with another inmate. He is scheduled to complete his sentence in November 2019. If that happens, prosecutors at the Rhode Island attorney general's office have already filed paperwork asking the courts to hold Price as a potential probation violator.